A recent post by the blogger Commander Salamander, who writes about defense matters, was brought to my attention for his skepticism about the new NATO Headquarters being erected across Boulevard Leopold III from the current headquarters in Brussels, Belgium. Cdr. Salamander quotes extensively from a recent American Spectator article by Joseph Harriss criticizing the cost of the new Headquarters and other projects undertaken by NATO. NATO’s Headquarters in Evere, a commune in eastern Brussels, was built in 1967 as the organization’s temporary headquarters. In 1967 NATO had 15 members. Since then, the organization has nearly doubled its membership to 28 countries, expanded to the Baltic and the Black Sea, gone operational on three continents, fought two wars, and extended its political partnership mandate to include nearly double again the number of countries in Europe, Africa, Asia and the Middle East. The Headquarters’ physical footprint, on an old German airfield just a few miles from Brussels’ main airport at Zaventem, has accommodated these dramatic changes with a series of temporary or semi-permanent structures not intended to last more than a few decades. As I used to tell visitors, NATO has been here, temporarily, for more than 40 years. Unfortunately, a legion of observers – mired in a Cold War mindset like some congenital deficiency – still believe NATO should have closed up shop with the Warsaw Pact. (Vladimir Putin vainly wishes the same thing.) They have been simply or willfully ignorant of how political geography has shifted during the last 20 years, like addled Rip Van Winkles not realizing they have slept since 1988. NATO has never been more relevant, operationally active or politically engaged than now. A permanent headquarters fixes that political reality to the ground. NATO member countries have long intended to build a permanent headquarters similar to the United Nations but didn’t get around to it until the last decade and long before the recession that throws its construction into ironic relief. Harriss is a little late to this game. What he only recently got around to complaining about has been in the works since before NATO deployed to Afghanistan. As for the cost of building the new Headquarters, the analogy may not be best, but controversy over NATO’s new headquarters is similar to the hand-wringing about cost overruns and quality controls with the F-35 Joint Strike Fighter. Many of the Allies are expected to take delivery of this aircraft and given the mounting costs they are second-guessing this decision. But the real question about the Headquarters is the same with the F-35: it’s not what you’re going to work with now that matters most but what you will work with 15 or 30 years from now. Today’s fighters – the F-16s and F-18s the F-35 will replace – were designed in the 1960s and 1970s. Both are nearly 40 years old. You can’t work effectively with old or outmoded technology, especially when our adversaries are barreling ahead to catch up with us. We can’t fly these planes two decades from now (although in the case of the F-35 our Allies can buy the Typhoon or Rafaele). It’s the same principle with the headquarters. Never built to last in the first place, it is hard to imagine working in the temporary headquarters in 2035. A new headquarters is needed. I served six years on NATO’s International Staff in Brussels. The Headquarters’ age is visible and tangible. I worked with thousands of visitors who were routinely less than impressed by its appearance: expecting a kind of multinational Pentagon, they found an unassuming retired hospital, minimalist in design and construction; a long, awkward cough from Cdr. 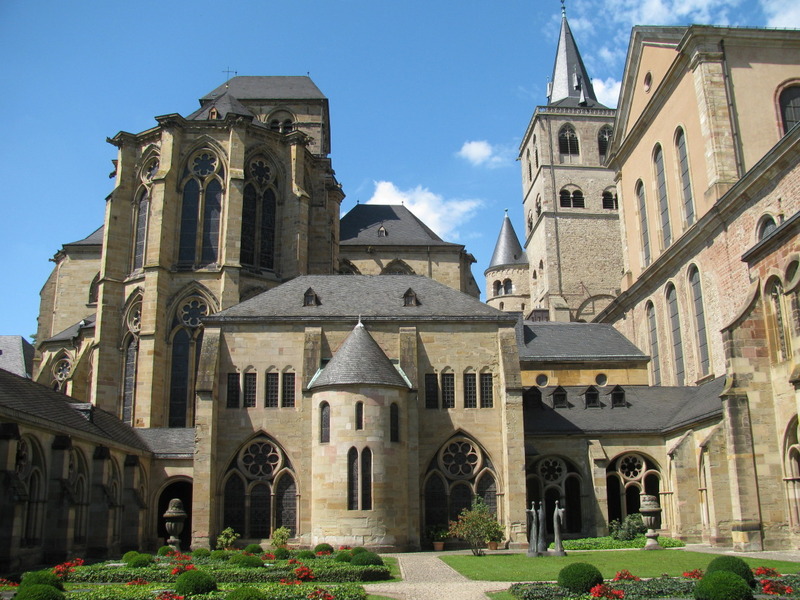 Salamander’s admired “neo-Classical, Romanesque, neo-Gothic” architecture that only appear together in the Dom in Trier, Germany. When I worked at NATO, whole sections of the core headquarters were closed off, opened for exercises only, because they stank of sewage. We had no air conditioning until individual units were installed in 2008. All the restrooms reeked. Power outages were routine. External window blinds failed and collapsed, one after the other, in my corridor one summer. A balky elevator in my unit reliably jammed. And for anybody who’s been overwhelmed by the vastness and complexity of the Pentagon, the Headquarters’ ad hoc layout more than rivaled the Defense Department maze on a much more compact scale. Such conditions may not bother the likes of Cdr. Salamander, accustomed to austere shipboard life. But NATO Headquarters is a misnomer: SHAPE is NATO’s true operational headquarters. NATO itself is a political body akin to the United Nations or the European Commission (unpopular equivalents perhaps, but mature observers will understand the comparison); it has more in common with Congress than the Pentagon. With ambassadors, ministers and heads of state visiting regularly, the West’s dignity and standing demand better than the current Headquarters shows. That should be enough for the Paris-glutted Harriss to restrain his snark. But he continues his attack with a thrust at the NATO Undersea Research Center (NURC) in Italy, criticizing its frivolous protection of sea mammals from sonar frequencies (which the U.S. Navy is also researching). I would expect Cdr. Salamander, as a retired Navy officer, to defend NURC here. NURC has worked with the NATO navies to find and dispose of underwater unexploded ordnance (UXO) left over from both world wars. As this video demonstrates, UXO threatens Mediterranean and Baltic fishermen particularly, who drag up old sea mines, shells, torpedoes and even chemical weapons (the latter dumped en masse by both Americans and Germans after the Second World War), leading to horrific injuries. Harriss also takes aim at my division which worked with academics and universities. I find his criticism especially odd coming from an avowed conservative who should be particularly suspicious of the anti-American bastions on campuses in Western Europe and North America. We at NATO recognized the opinion trends that academics could set and engaged directly, truthfully and effectively with them. (Maintaining an open and accessible library, which Harriss also inexplicably attacks, was part of this strategy. The Russians, Harriss might discover if he asked around, are not quite as helpful.) We also spoke directly to thousands of high school and college students who visited Headquarters each year. Our approach may be naïve, but the alternative is far worse: abandoning campuses to entrenched anti-American, left-wing and (worse) terrorist narratives is pure negligence. I hope Harriss and Cdr. Salamander would agree. This entry was posted in Afghanistan, Book Reviews, North Atlantic Treaty Organization, Public Diplomacy and tagged Allies, american spectator article, NATO, nato member countries, NURC, politics, Public Diplomacy, SHAPE. Bookmark the permalink.